The 45mm Photo Canvas enables you to personalise your home in an elegant and original way. 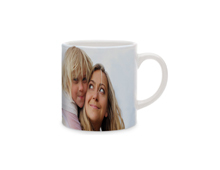 The cotton canvas on which your photo is printed gives your images a classic, timeless appeal. The high-definition printing generates exceptional colour rendering. The landscape format shows landscapes off to their best advantage, but it is also very effective for family portraits and group shots. Choose a photo with tones that match your interior decor or, on the contrary, colours that contrast completely, in order to achieve a stunning visual impact. Your 45mm Canvas will create a stunning effect with its printed edges which enhance the illusion of depth. You could also offer it as a gift to a close friend or family member to celebrate a special occasion, such as a wedding, for example. This magnificent, surprising gift will last a lifetime!